Luxury homes and how they look will be different from city to country. It is highly dependent on climate, culture, current lifestyle and history. The mixture of these elements allow for totally unique outcomes. Sydney’s luxury market is apart of this, holding its own style. So how do we, as a firm accomplish this ‘luxury’ finish and how can you? The secret is all in the detailing. The smaller aspects which bring the larger picture together, meaning the back and forth balance is critical. A way to use detailing is to enhance the modern Australian goal of multiple functions. 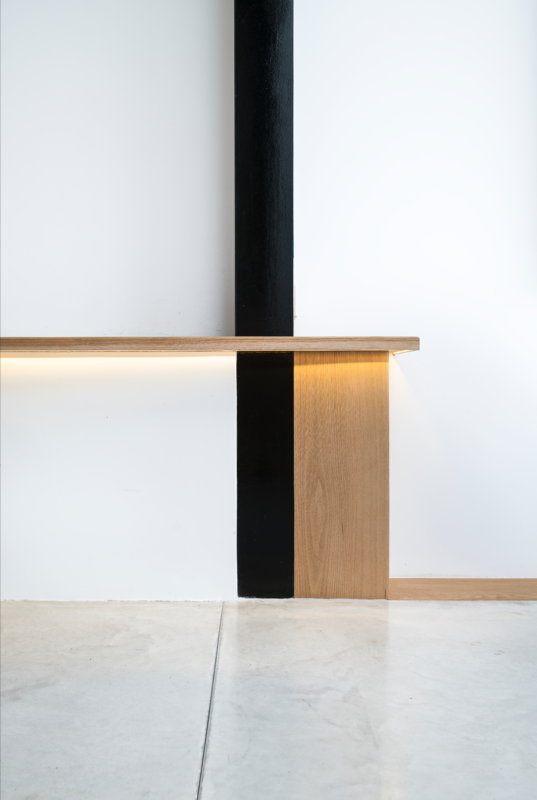 A bench might bleed into the structural aspects of the wall, like shown here in our Paddington Terrace. It acts as a functional piece, a place to sit, a place to rest something on and as a visual point of interest. These well thought out systems which integrate into the house create a sense of ease. And there is nothing more luxurious than having everything clean, easy and convenient to your needs and wants at any given time. Another way to heighten the feel of luxury in your home is to choose fixtures and fittings of particular quality and lasting life cycle. While this may seem obvious, it is often substituted for a expensive pillow or rug. What people don’t always realise is that the make or break to luxury homes is good, sturdy bases. This doesn’t just extend to the envelope of your building. 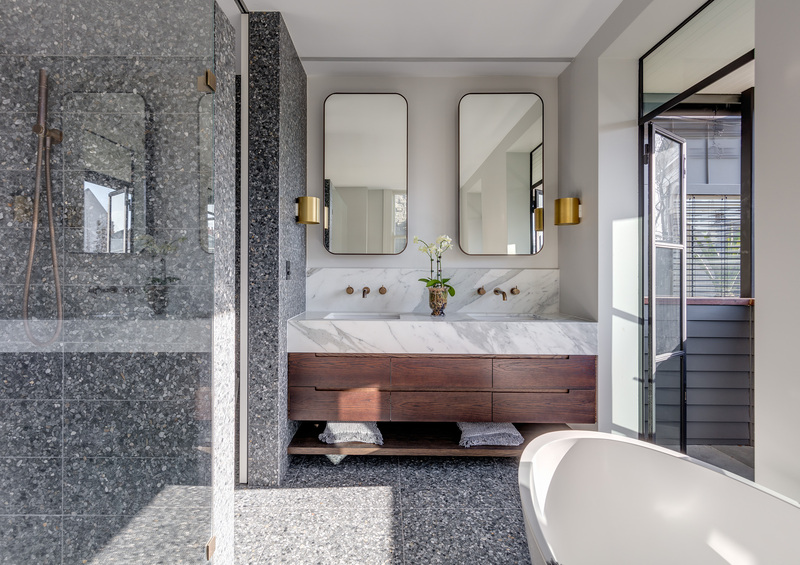 Your taps, doors, lights, cupboards all play a role in creating the solid environment that oozes luxury. They ooze luxury because of their obvious long life cycle, sturdiness, longevity and overall reliability. Save your money for creating the perfect canvas of classic and timeless pieces that are easily adaptable. With personal trends and social trends so often changing, you want a stage that can be moved through time with ease, while being beautiful as a stand alone. The final way to bring your home from good design to great, luxurious design, is by utilising space and finding opportunity. We find that these little pockets of unused space are a great chance to create something special. Create a bar across from your kitchen or dining. Put clean joinery in your garage to allow for a indoor work bench zone. Or rearrange your floor plan in your master ensuite to allow for a section off shower/ wet area. Be clever in your planning, be practical and future thinking because that is the core essence of luxury. Timelessness, beauty and longevity through all trends.